Belinda Nana Ekua Amoah, popularly known as Mzbel, is a Ghanaian Hiplife artist and one of the most popular singers in Accra, Ghana. Known for her controversial traits Mzbel has always played controversial music and followed it up with controversial comments that are sure to get her fans talking. 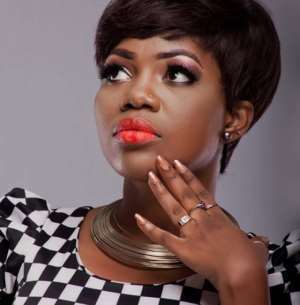 Mzbel in an interview with Ameyaw TV has said that she won’t be releasing any new song until the former president, John Dramani Mahama returns to power. Mzbel who has not been active with her music for some time added in the interview that, she’s currently focused on being a mother and setting up a TV production studio. ‘At the moment I’m trying to be a mother and concentrate on my new studio, I have a studio, a production studio so this year no music’ she concluded.